Orcutt is an unincorporated township located in the Santa Maria Valley of California, and is in Santa Barbara County, California. Orcutt is named for William W. Orcutt, the manager of the Geological, Land and Engineering Departments of the Union Oil Company. Known as the “Dean of Petroleum Geologists” Orcutt is credited with discovering fossilized prehistoric animal bones preserved in pools of asphalt on the Hancock Ranch. 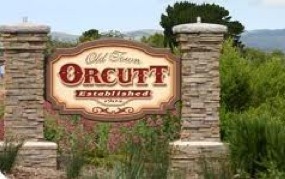 The population of Orcutt was 35,262 at the 2010 census. Very well located 6.9 acre lot near the intersection of Bradley and Clark. Zoned PRD. Option is a possibility.